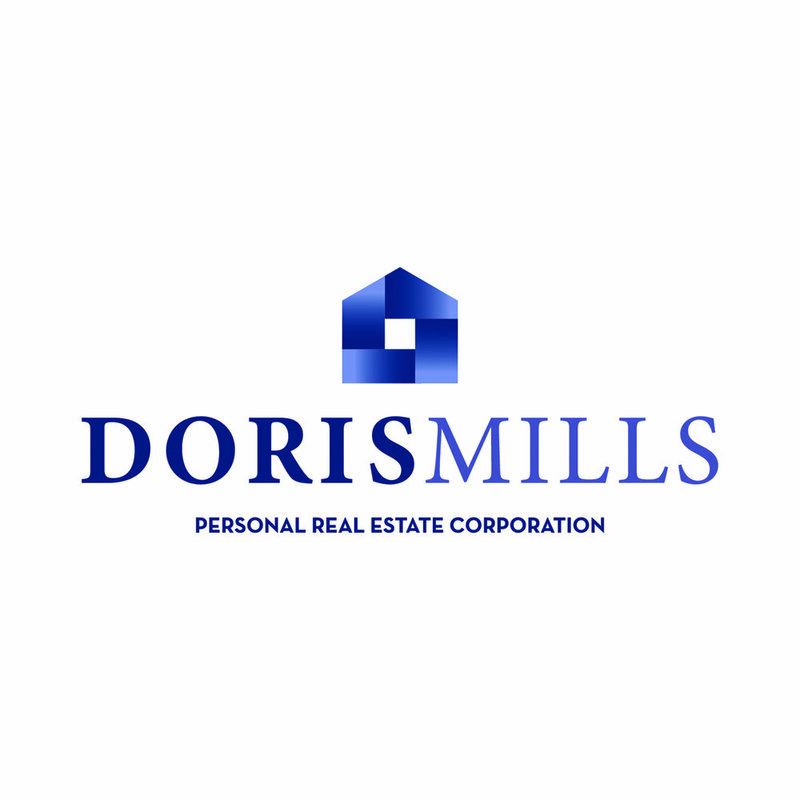 Doris Mills is an established Realtor based out of beautiful Salmon Arm, BC. 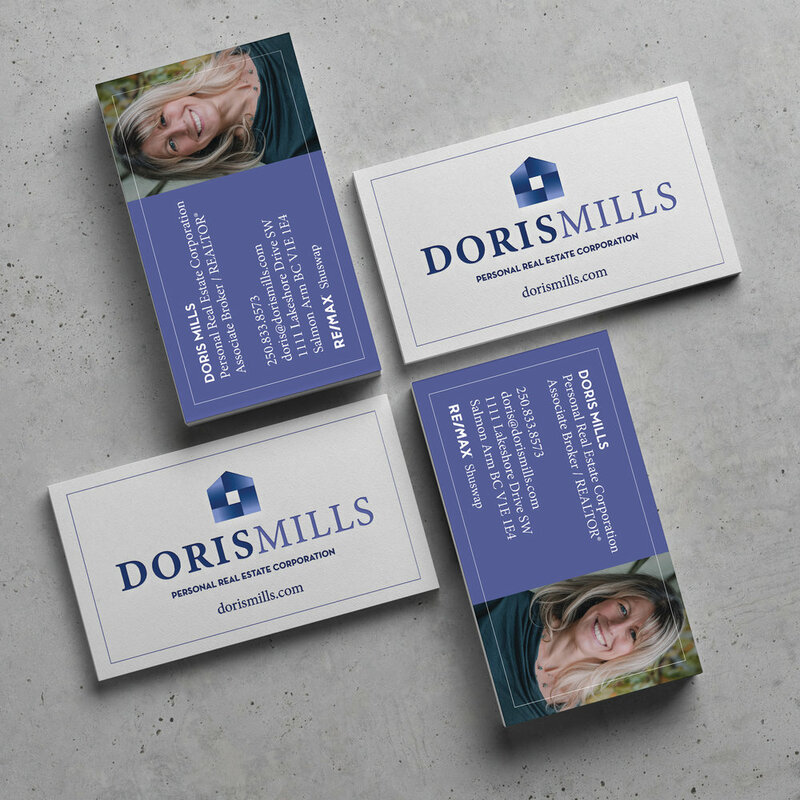 She was ready for a new look and came to Pye Design for a simple, professional and modern brand. 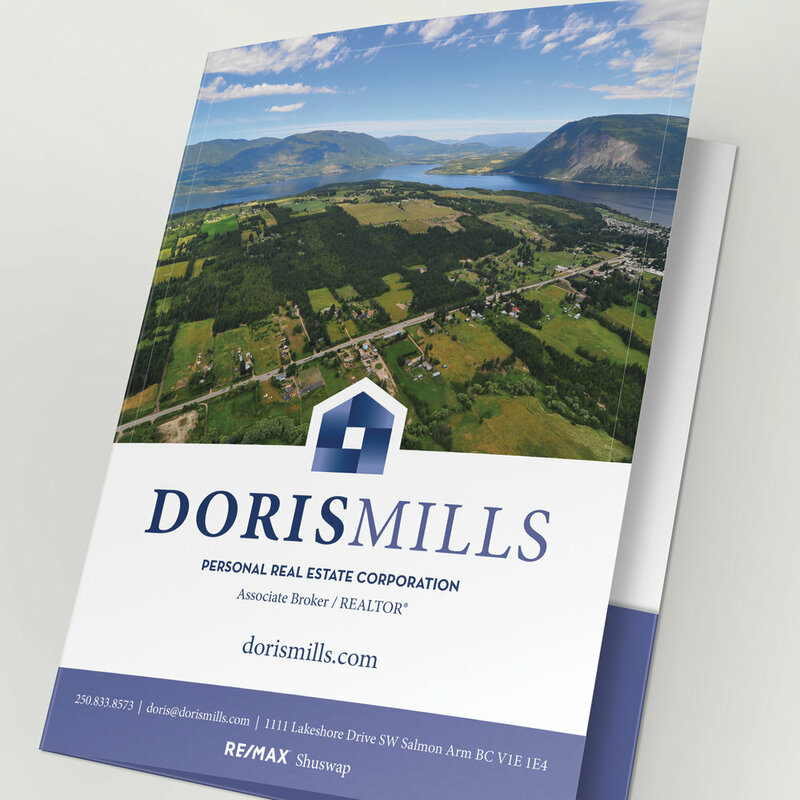 It was important for the logo to stand out on several different marketing materials such as mugs, apparel, print ads, business cards, social media etc. 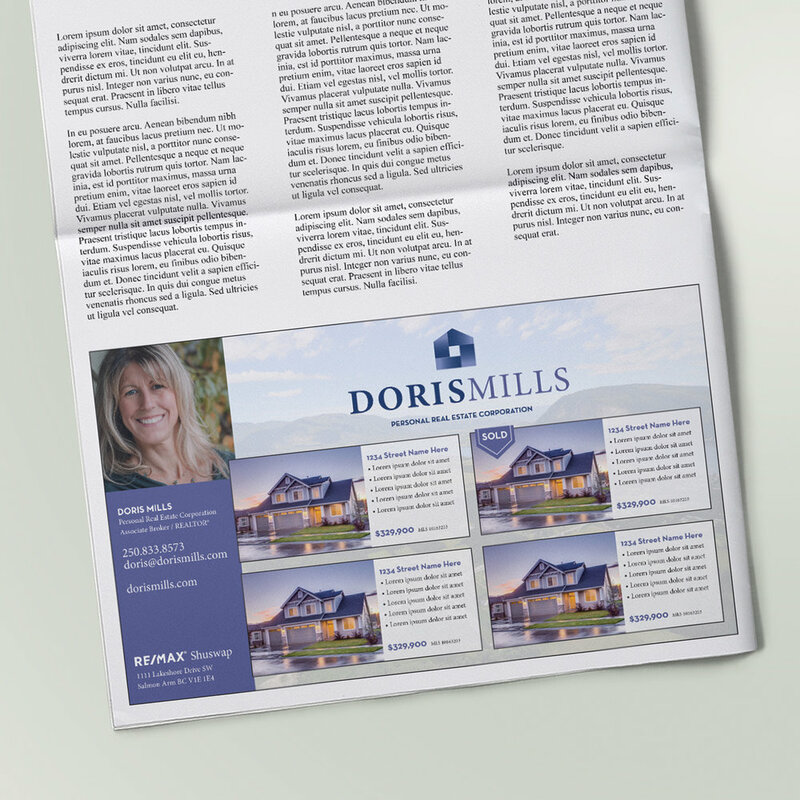 We are currently working on her new website and can’t wait to do the big reveal!